It is a question people have been asking for almost 125 years, and one which will, in all likelihood, never be answered. More elusive now than ever, the crimes of this unknown assailant have haunted the world, and led to Jack the Ripper becoming one of the most recognised names in the history of the world - quite an achievement for a man whose real name is still a mystery. Some have suggested he was a sailor; an immigrant Jew; an eminent surgeon; an abortionist; a mason; a writer, and even a prince. Countless books, films and documentaries have speculated upon the identity of this killer, and yet, there is still no true consensus on who he may have been. So in a world that is heavy with fiction about the Whitechapel murders, what possible need could there be for yet another? Writing 1888 was almost an inevitability for me. For most of my adult life, I have been fascinated by these crimes and knew eventually I'd have to put all of this knowledge to use. I knew my Kosminski from my Kaminsky, my Georgina Chapman from my George Chapman. The only problem was, how on Earth do you find something new to say about a subject that has been so well worn? The title came to me before anything else, although, it would be more accurate (and honest) to say it came to my mother first. I had recently finished writing my first book - a Victorian mystery based on true events, and was itching to write another. 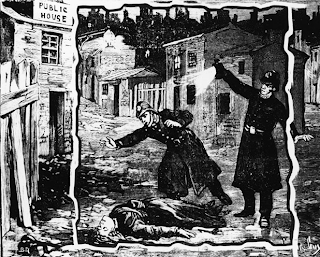 I was talking to my Mum on the phone one afternoon, about the possibility of writing a trilogy of books, each based upon an unsolved 19th Century mystery, and she suggested I put my interest in all things Ripper to use, "You could call it 1888" she said. The simplicity of the title struck me before anything else. I shrugged off the idea of writing a Jack the Ripper novel, as it seemed little more than trying to furrow a barren land, however, try as I might, an idea was already starting to form. If I was to write about the most famous serial killer in history, I would have to set myself some rules. Firstly; no police investigation. The tale of Inspector Abberline and his attempts to catch the Ripper, have been told so many times that to try again seemed futile. 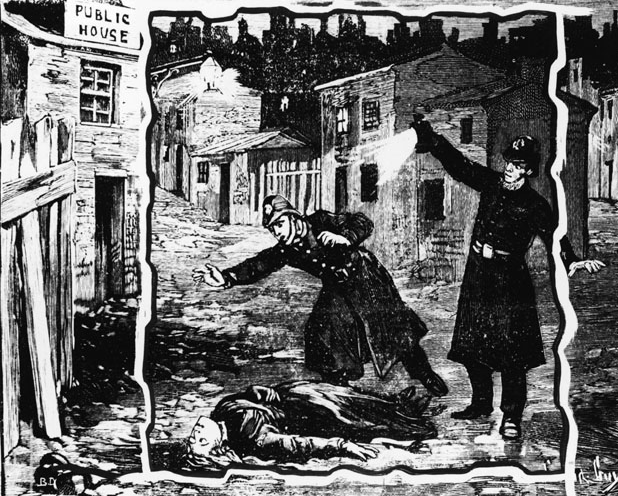 Moreover, even people who know next to nothing about Jack the Ripper, know he was never caught, and that the investigation itself, proved to be fruitless. Secondly; I would have a large cast of characters from every walk of life in London, from wealthy merchants, to lowly beggars, and their stories would be told in brief chapters which at first appeared very disparate and unconnected, but steadily overlapped as the novel went on. I had in my mind the idea of Victorian "penny dreadfuls" - sensational, populist tales told in short serial form. Thirdly; I would be as historically accurate as I could. All available information that seemed pertinent to the tale would be included. While some of the characters would be fictional, the vast majority would not, and I would strive to write a story that was not just plausible, but as close to the reality of the Autumn of Terror as possible. Fourthly; I would include a great deal of popular Jack the Ripper suspects as central characters and most importantly, I would reveal who I believed was the killer. Now the novel is finished, I am glad to report that I believe I have stayed true to this initial concept. This blog has been started so that readers can peak behind the curtain at the research that went into writing this story, and may learn more about the people, places and events that first inspired me to write 1888. While the novel stands alone as a piece of work, I shall endeavour to post a new entry every couple of days or so, in hopes that those wanting to separate the truth from my fiction, may do so and those wanting to discover what happened to the characters of 1888 after that year, need look no further. I hope you are well and smiling and glad to hear that you finished the novel 1888. As you appear to have a genuine interest in the Ripper case . . . . may I offer you some of my findings from my ongoing research. You may enjoy viewing the art of Walter Sickert and the images he secreted within his portraits re Jack and The Royal Conspiracy. Additionally, the art of Graphology can be fun too! The names Walter Sickert and Jack the Ripper are made up by 13 letters. Hi Jackdaw, thank you for your comment. You may be interested to hear that Walter Sickert actually appears in my novel, as a rather major character. Unfortunately, I've never been convinced by Sickert as the Ripper, or the graphology "evidence" - I'm quite sure if you go looking, you could find coincidences or flukes of language between any set of words. For instance, if you took a very common alternative spelling of my name - (Charlie Smith to Charles Smithe,) suddenly I have the same vowel sequence as Walter Sickert and Jack the Ripper. Very interesting stuff nonetheless, thank you very much. Enjoy the images of art I have posted on the net. They have received much interest over the years - nearly 100,000 hits to date. They tell the tale of Jack....and Sickert's complicity with the Royal Conspiracy.